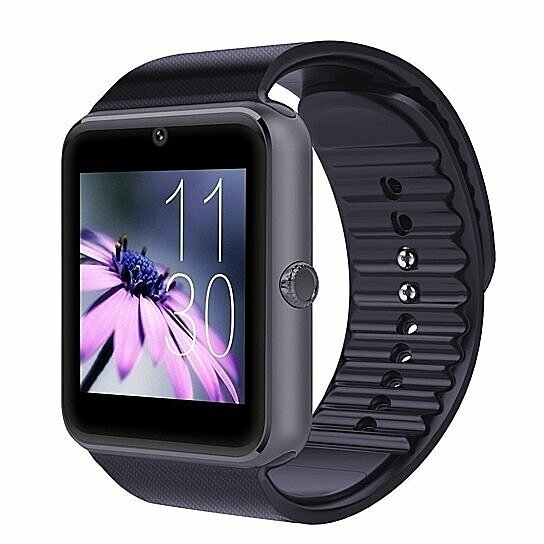 The SIM Card GSM GPRS Smart Watch for iOS & Android Cellphone is a fully functional timepiece with GSM and GPRS function. With a rectangular screen, it has a sleek modern watch design as well as a clear display. Insert the SIM card and turn it into a wearable cell phone; then you can make phone calls, send text messages and do a lot more. Small and lightweight, this smartwatch is integrated with a pedometer, calorie calculator, walking/running distance meter, and more. The soft silicone band is comfortable for long-term wearing. Don't hesitate to bring it home now! All Bluetooth V3.0 or the above-enabled smartphones, tablets. Material: Metal Frame with Silicone Strap. SIM Card & TF Card not included.